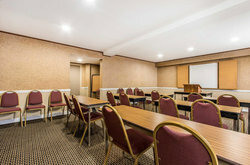 Host your next meeting or event in our versatile meeting room in Mobile, Alabama. Our very functional venue offers 425 square feet of event or meeting space and can accommodate up to 30 people. Located on our ground level, our space is equipped with a TV and has HDMI capabilities for your convenience. 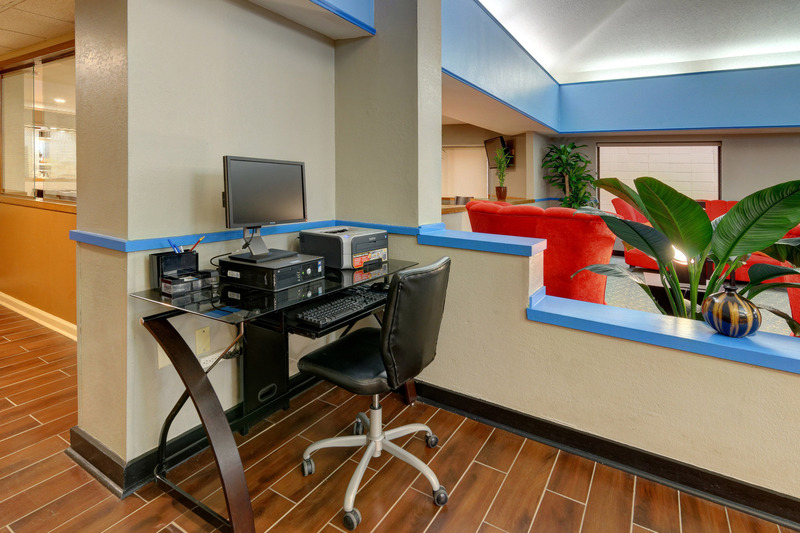 Our rates are always affordable and competitive for the area, so booking with us is a no-brainer Gather your team without hassle in our convenient meeting room in Mobile, AL during your stay at our hotel. Whether you are looking to host a baby shower, graduation celebration, training session, or just need some breakout space, look no further than our event venue in Mobile, AL. Outside catering is welcomed and our dedicated staff is always happy to provide recommendations and assistance with choosing a local vendor. Whether you’re an experienced event planner or looking for a streamlined experience, it’s never been easier to plan an out-of-town meeting. Aside from offering an exceptional Mobile meeting space for rental and a great on-site business center, Comfort Inn is pleased to provide a great location with convenient access to an array of local businesses. Walmart’s Import Distribution Center is just a 17-minute drive away, making us your ideal accommodation nearby. Amazon's Mobile Distribution Center is just a 15-minute drive away on I-65. Springhill Medical Center is located just 0.5 miles away and can be reached on foot or by taking a short 3-minute drive. Spring Hill College, University of South Alabama, University of Mobile, Bishop State College, and Faulkner University all located conveniently nearby. 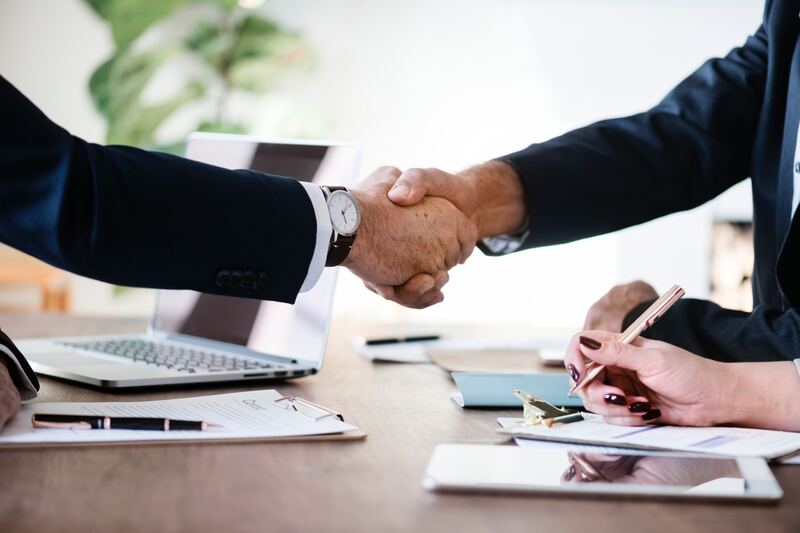 Book your stay in our comfortable lodgings with a versatile meeting room in Mobile, AL and experience a hotel where all of your business needs are met! For your business needs, we are happy to provide the luxury of on-site meeting space. Find all of your corporate needs met in our on-site business center. Use our desktop computer equipped with Wi-Fi access and printing capabilities. Take some time to correspond with friends and family back home or find some time to focus on work for the office. Alternatively, rent out our meeting space for your brainstorming, training, or conference needs.